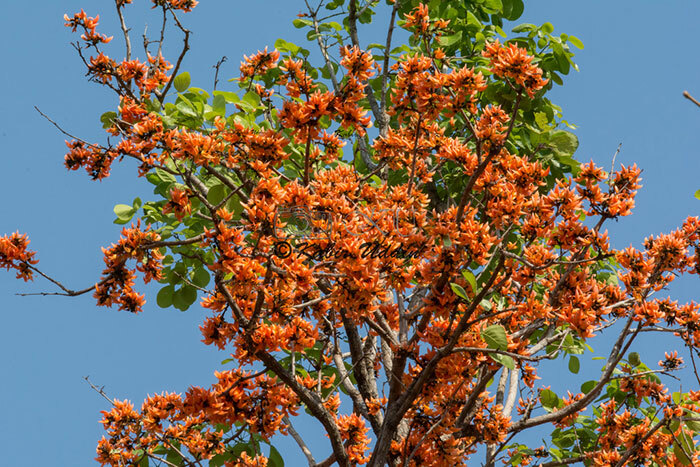 Actually , Pahela Falgun is the First day of the king Season Spring. People throughout the country celebrate this day with great enthusiasm. By this celebration, people Actually welcome the Spring Season. No specific history has been found how this festival started. The day was first celebrated by the Fine Arts students of Dhaka University. After that, every year people especially youngs celebrate this day every year. Very First time of celebration of Pahela Falgun, Some of the girls from Dhaka University wore Saree and print block at the university hall. Wearing Saree they visited Ekushey Boi Mela. In the morning the girls of 89 batch of Dhaka university started a rally in DU Campus. Boys of 89 batch joined with them. It came to the eye of media and general people. 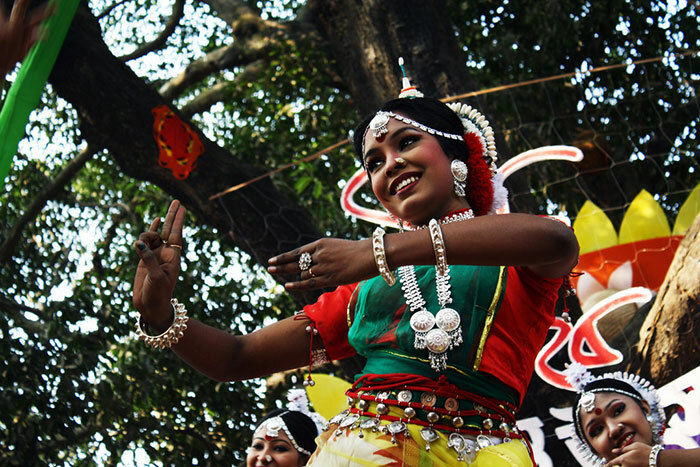 After that Indian Bengali Speaking, people also start to celebrate the Pahela Falgun to welcome the spring. 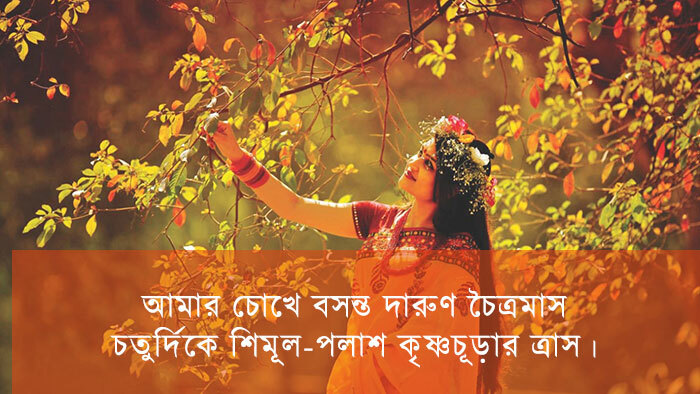 Pohela Falgun is the first day of Spring Season. It usually fall in 13 February according to Gregorian Calendar. It remains same in every year. 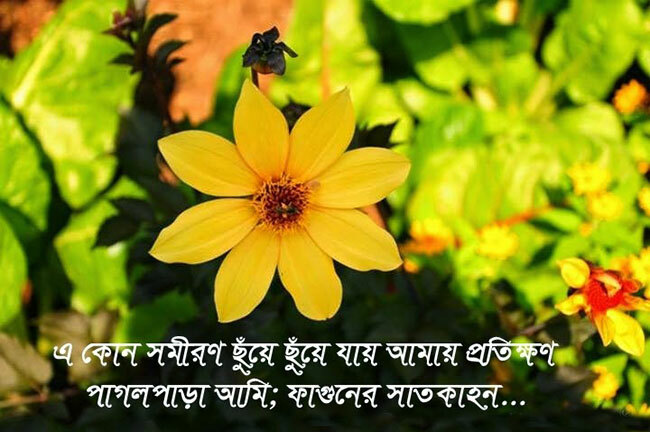 So, We may indirectly call 13th February is the First day of Spring as well as Pohela Falgun (People also called Fagun). 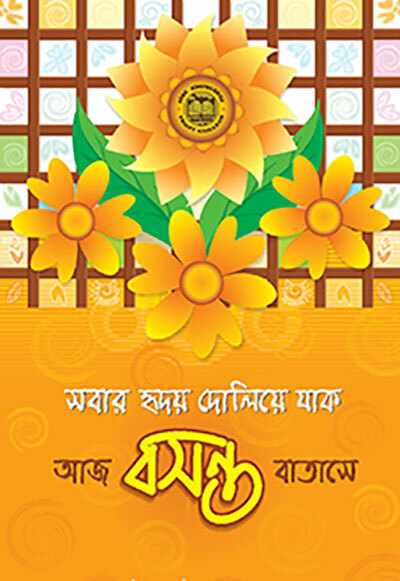 Pohela Falgun 2019 date is 14th of February (14/2/2019) . It is on Wednesday. 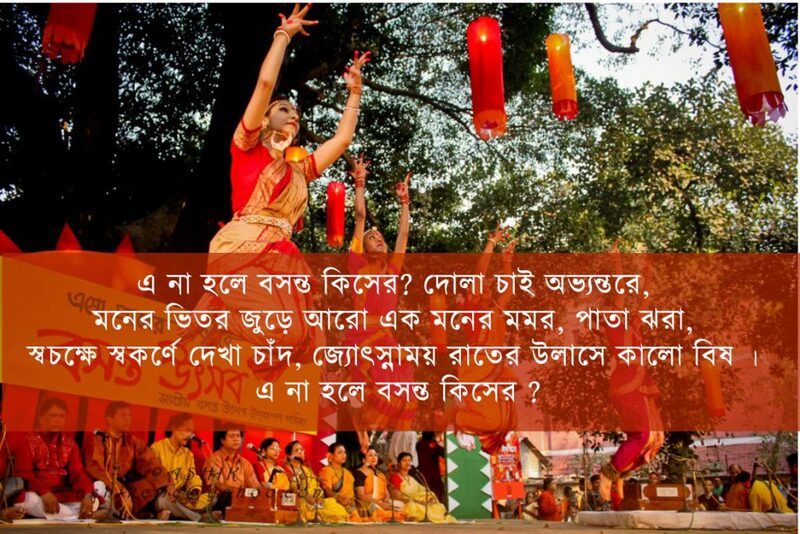 How Pohela Falgun is Celebrated? After the dryness of Winter Season, The Spring Comes. 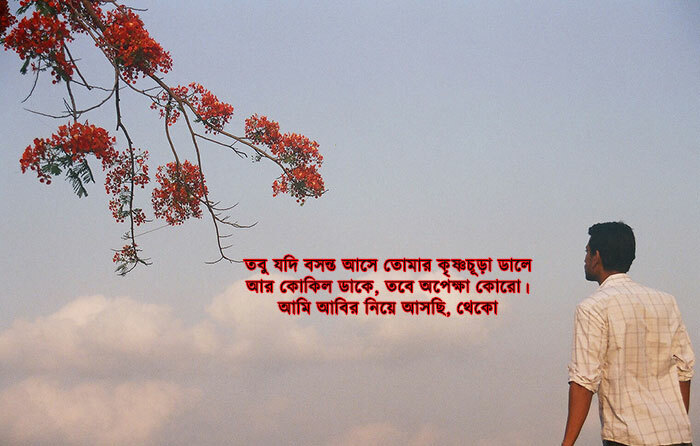 People of Bangladesh celebrate this day to welcome the Spring. As we know spring is the king of all season. The Nature adorned herself with new leaves and flower. 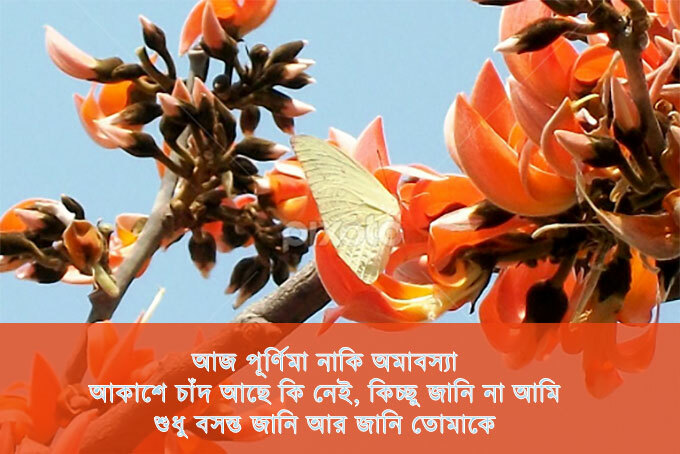 Different flower like Palash, Gold meri, Shimul bloom to welcome the Spring. The country puts on a festive look. Specially the night before the First Falgun. Differnt cultural organization remains busy to decorate their stage for the next day. 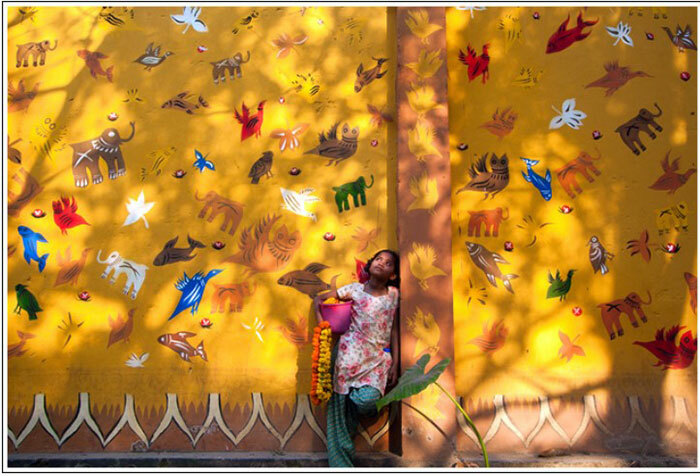 The People welcome the Spring by Paintings, peoms, song, dancing. 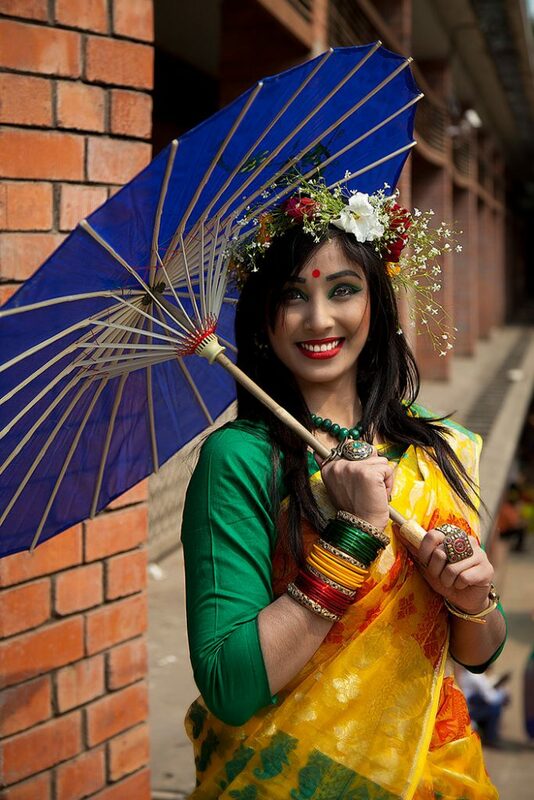 The Girls Wears tradition Basanti Color Saree. The boys wear colorful Panjabi. 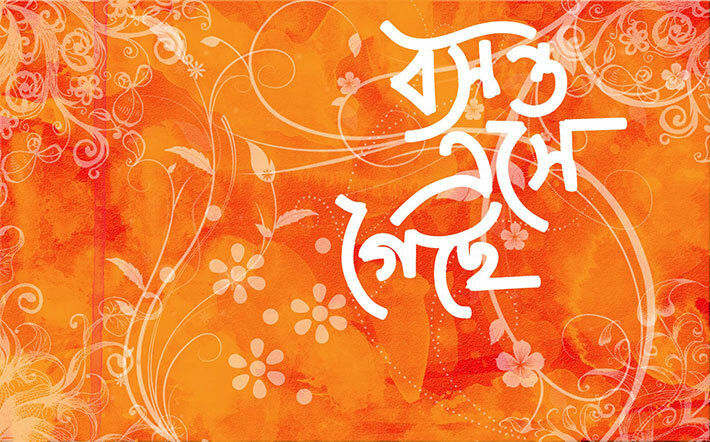 In this day, there are many festivals goes on. 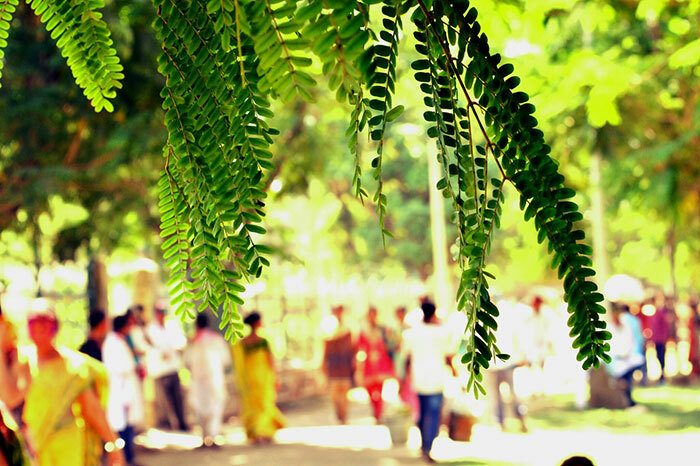 The people call it Boshonto Utsav. 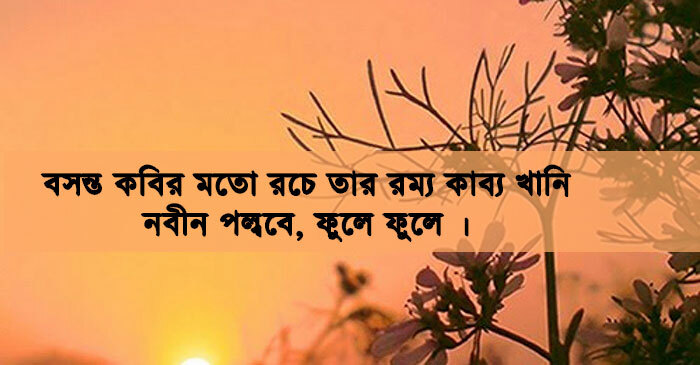 এ না হলে বসন্ত কিসের? দোলা চাই অভ্যন্তরে, মনের ভিতর জুড়ে আরো এক মনের মর্মর, পাতা ঝরা, স্বচক্ষে স্বকর্ণে দেখা চাঁদ, জ্যোৎস্নাময় রাতের উল্লাসে কালো বিষ । এ না হলে বসন্ত কিসের ?